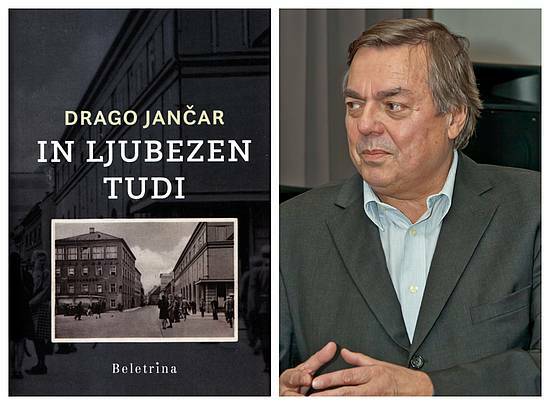 Drago Jančar won this year's Kresnik Prize for the best novel of the past year for In Ljubezen Tudi (And Love Itself), a novel about the Second World War in the city of Maribor. He has become the first author to win the prestigious accolade four times. The author's eleventh novel, published by Beletrina, tells the stories of three people that have been marked and broken by the Second World War. The jury said the author "wrote a convincing war-time love vortex". Jančar lit the traditional Midsummer bonfire in a culmination of the ceremony. The novel is already being translated into several languages, the German and English editions are planned to be published in 2019. In addition to the winner, four novels were shortlisted for the prize: Vlado Žabot's Sveti Boj (Holy Fight), Vse Moje Amerike (All My Americas) by Štefan Kardoš, Gramoz (Gravel) by Florjan Lipuš and Starec in Jaz (The Old Man and I) by Sarival Sosič. The prize was introduced in 1991. Its name comes from a Slavic god associated with the summer solstice. This year the Slovenian Book Agency is organizing an exclusive 3-days programme for international editors, publishers, networkers and professional journalists specialized in children's and YA literature, in the view of Slovenia being guest of honor in the Bologna Book Fair in 2021. The journey will take place between November 21 and 24 2018, during the Slovenian Book Fair. Participants will get the chance to visit the fair, meet the most important Slovenian authors, illustrators and publishers of children’s and YA literature, as well as visit some unforgettable locations around Slovenia such as Children’s Museum in Celje, the atelier of a renown Slovenian author Lila Prap, the fairytale Predjama Castle and many others. 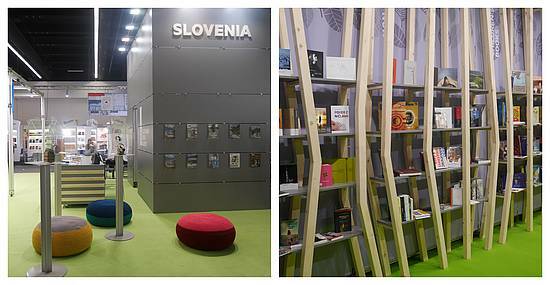 Slovenian Book Agency will cover travel costs (up to 500 €) and all costs of the programme in Slovenia. Up to ten foreign professionals will be able to participate. You can apply before 1st August by sending a filled-in application form to anja.kovac@jakrs.si. Check out also the latest catalogue Slovenia’s Best for Young Readers. Let’s meet at the Frankfurt Book Fair 2018! At this year’s Frankfurt Book Fair you can find the Slovenian National Stand on the same spot as last year: Hall 5.0, Stand C103 in the company of various international publishers. To meet staff of the Slovenian Book Agency and discuss grant possibilities contact: anja.kovac(at)jakrs.si. In addition, two publishing houses have traditionally their individual stands. Beletrina, with its eminent literary imprint awaits you in Hall 5.0., A 22, and Mladinska knjiga, Slovenian biggest publisher with various imprints in Hall 6.1, D36. We also cordially invite you to join the Slovenian Book Agency Reception for International Partners at the Slovenian National on Wednesday, October 10, at 1 p.m. Save the date. On offer: Slovenian sparkling wine and potica (traditional Slovenian pastry). More about Slovenian events at the Frankfurt Book Fair 2018 in our next Newsletter! Selected Slovene literary works will be promoted to members of the film industry from the broader region in the frame of Matching Stories and Film, a B2B meeting at this year's Pula Film Festival (14-22 July 2018, Pula, Croatia). The meeting will be a part of the Festival's international program for professionals, Pula Matchmaking Forum, and will be organised in cooperation with the book fair "Sanjam knjige«. Regional leading publishers will suggest adaptation rights of contemporary regional literature (novels, essays, comics, children's literature, etc.) to producers, directors, distributors and TV houses. Matching Stories and Film follows the concept of Books at Berlinale, established in 2006, which was the first rights market at an A-Film Festival. With her many successful endeavours in publishing and exhibitions, Slovenian illustator Manica K. Musil has shaken up the world of picture books, in Slovenia, Brazil, China, Turkey, and Pakistan. Doors are opening wide for her elsewhere, too, as confirmed by numerous awards that have recognised her innovative approach and use of unusual techniques. Manica's book Slon Stane (Stan the Elephant) will be published by the Swiss publishing house Baeschlin Verlag in autumn of this year. Book presentation and a children's workshop are planned for the Vienna Book Fair, Buchwien 2018, where you can also visit the Slovenian national stand. Read an article on Manca's life and work here.